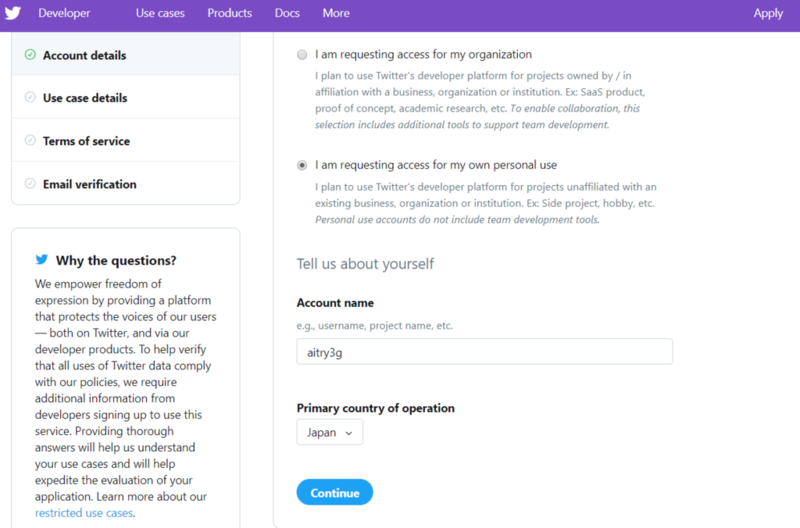 I want to use Twitter API to make chatbot for contribution to research in artificial intelligence. 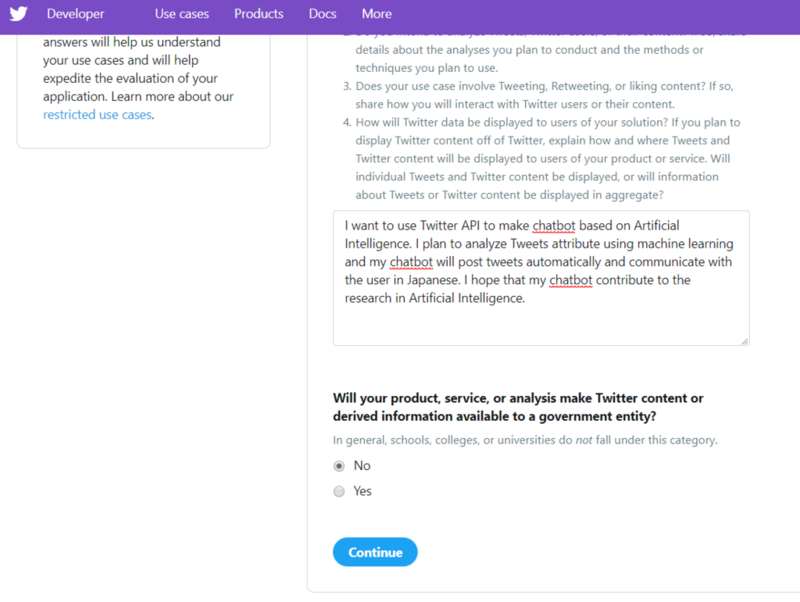 I plan to analyze Tweets attribute written in Japanese and classify them according to the user preferences. 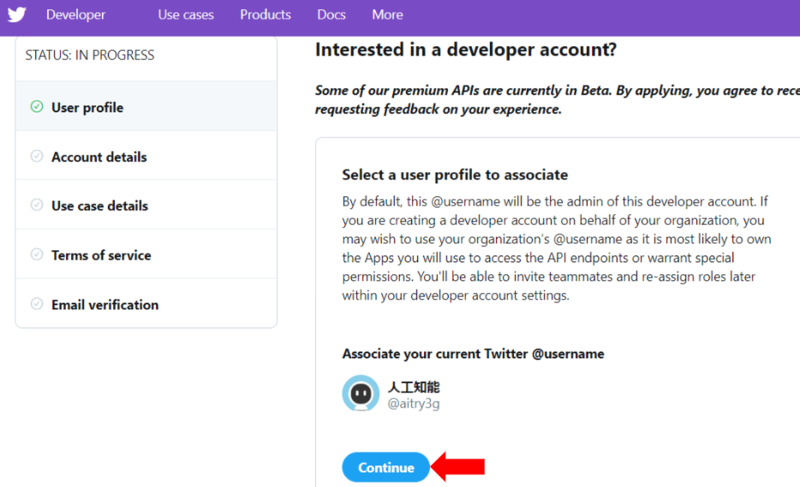 In addition, my chatbot will engage in dialogue between Twitter users. 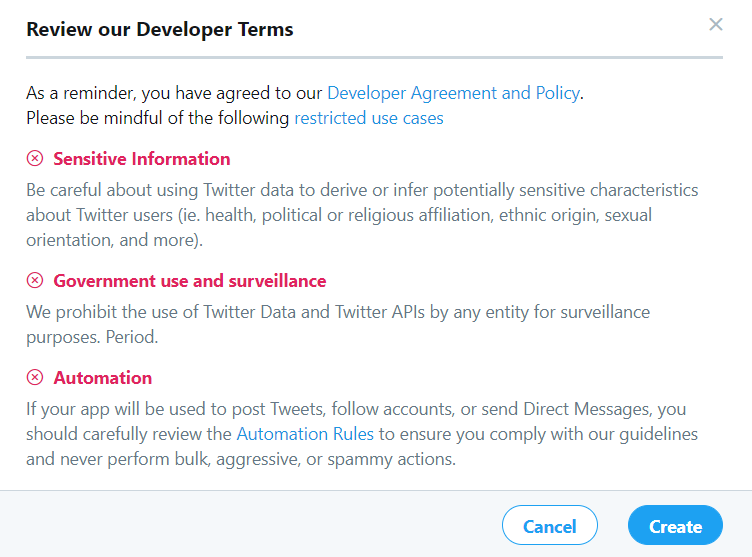 I will display all of these attempts to the users. 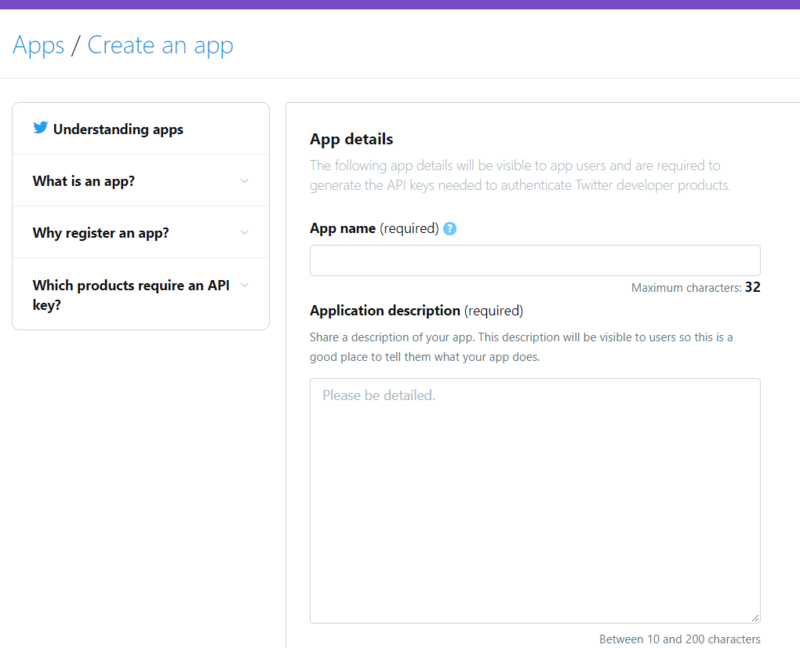 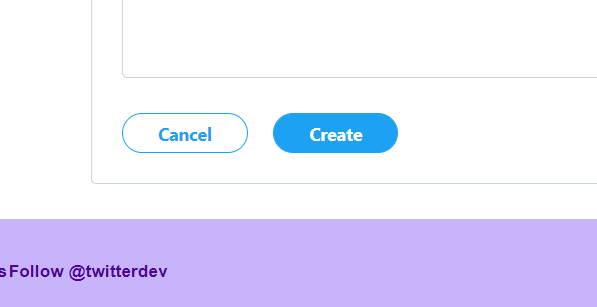 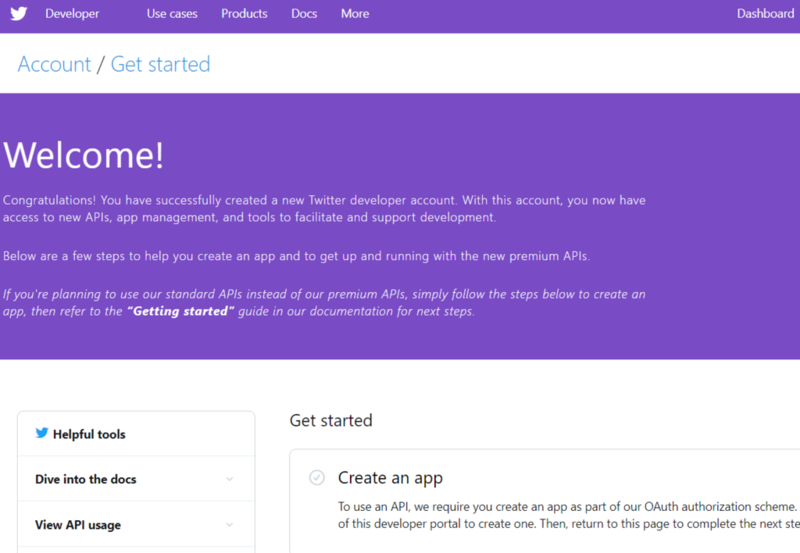 I will use Twitter APIs to build chatbot. 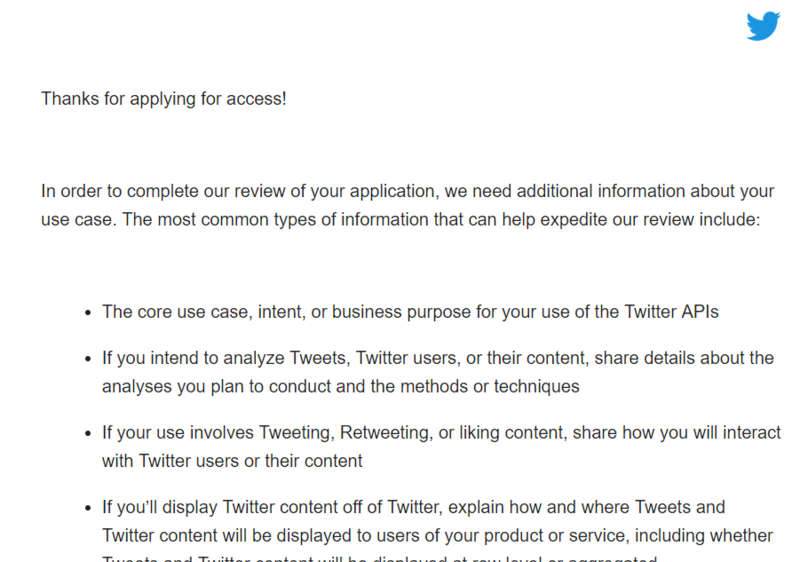 I plan to use deep learning to analyze Tweets. 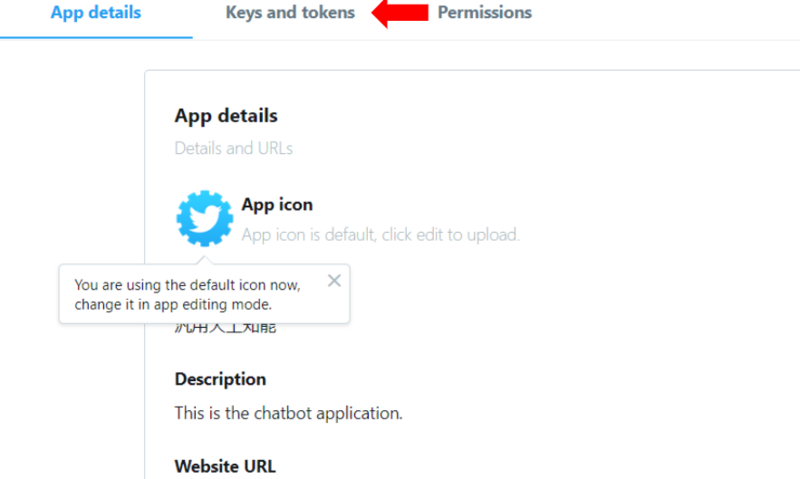 I will build chatbot implemented artificial intelligence. 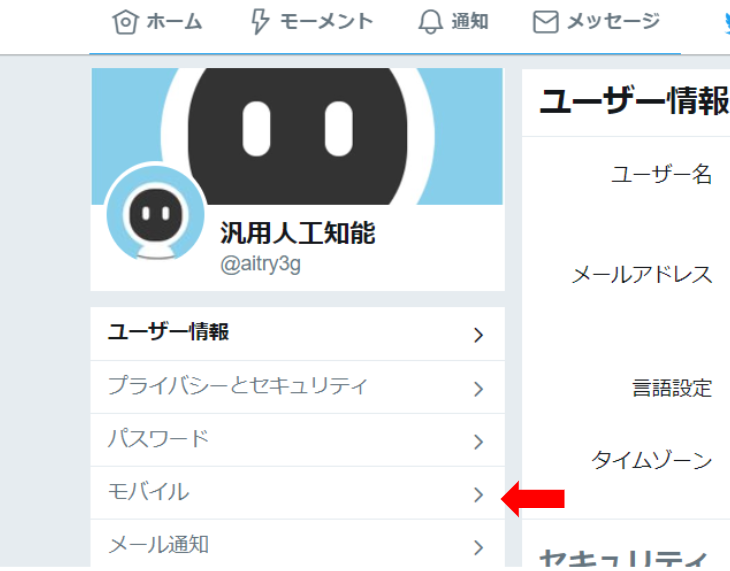 My chatbot will post the tweet and be able to talk to the user in Japanese. 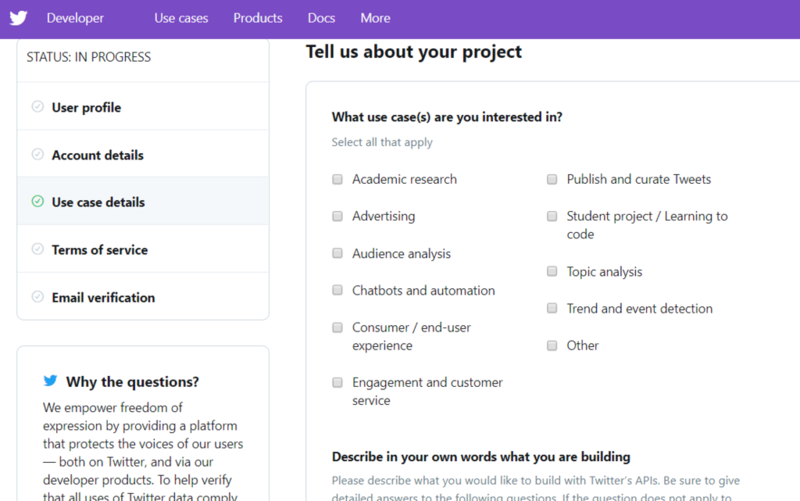 I will build chatbot implementing artificial intelligence. 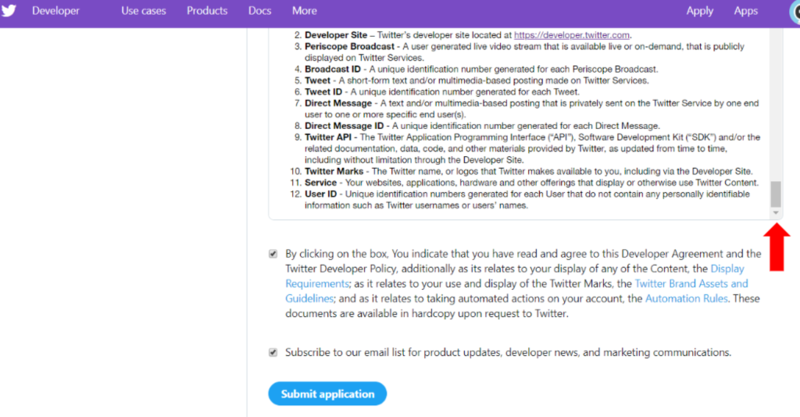 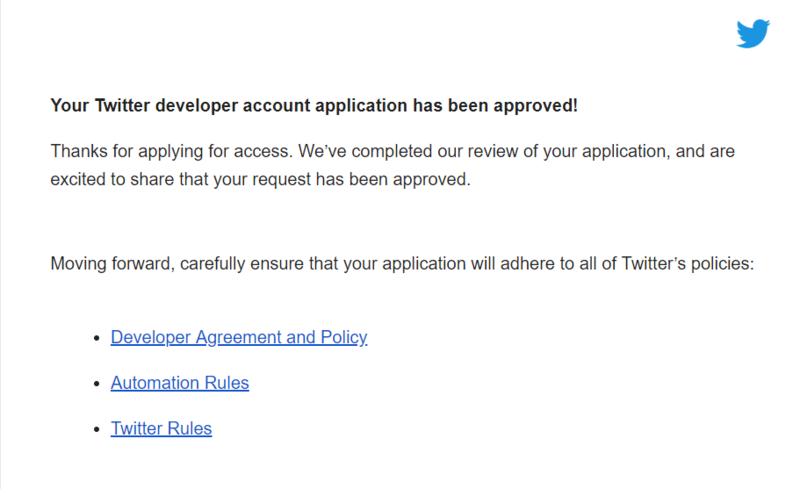 This application will post tweet automatically and retweets according to the user preferences. 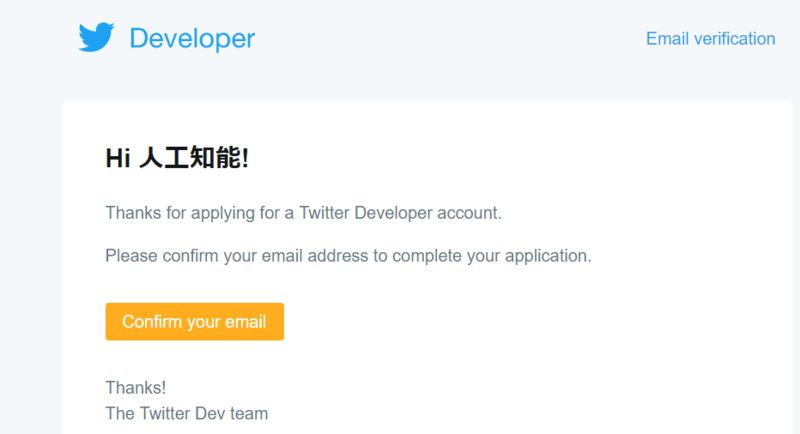 In addition, I will implement chatbot which is able to communicate with the user in Japanese. 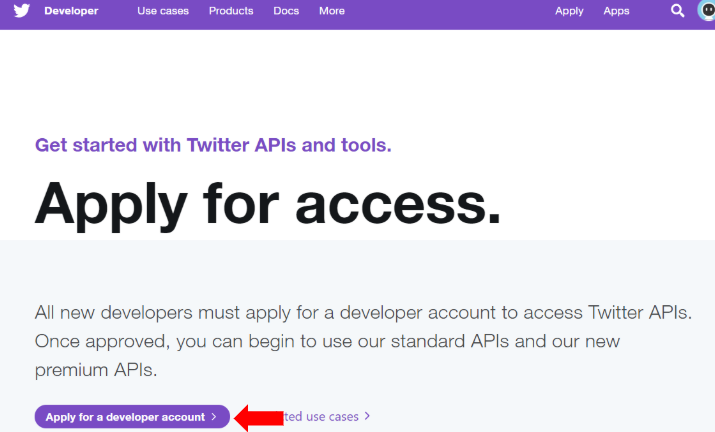 consumer_secret = "API secret key"
access_token_secret = "Access token secret"